A post-race review of an incident that spun Lee Holdsworth in the opening leg of the Winton SuperSprint has found Simona De Silvestro, rather than James Golding, to be at fault. The three drivers were fighting over 18th place following the late-race restart on lap 34 when contact exiting Turn 9 dispatched Holdsworth to the infield. 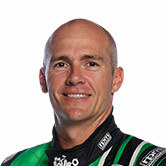 The cars were momentarily three-wide as the incident began, with Golding on the inside and De Silvestro in the middle. Having viewed the television footage, stewards ruled in-race that Golding be issued a 15-second time penalty, to be added to his time. However, a review of the judicial camera footage post-race demonstrated that Golding “did not cause or materially contribute to” the incident. 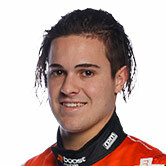 De Silvestro was instead found at fault, receiving a 15-second penalty, in addition to a further five-second penalty issued for a separate mid-race hit on Nick Percat. 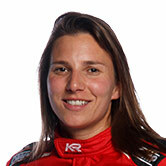 The changes drop De Silvestro from 18th to 22nd in the final result, while Golding moves up a single place to 20th. No further penalties were issued as the result of a raft of other reviews, including the contact between De Silvestro and Tim Blanchard that brought out the race’s only Safety Car. Also of note, Jack Le Brocq was not penalised for opening-lap contact that spun Richie Stanaway after it was adjudged that the latter's Ford had a deflating tyre prior to the contact. 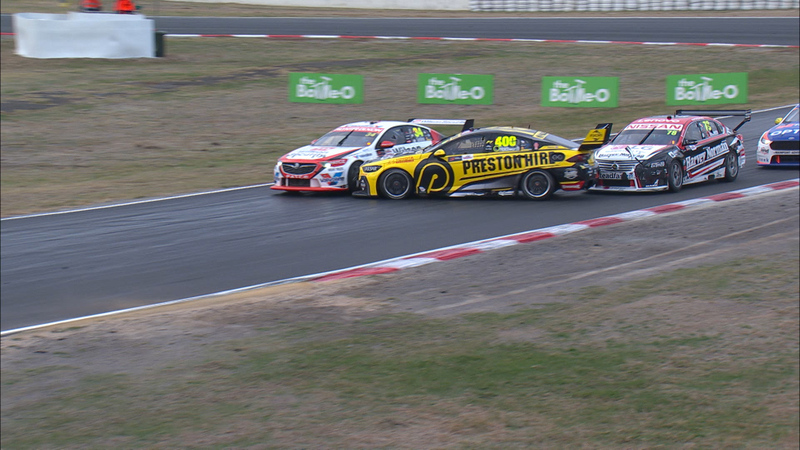 David Reynolds, who took to the grass to avoid the incident, also had a deflating tyre when he suffered contact with De Silvestro at the following corner. De Silvestro’s woes came on an otherwise stellar day for Nissan, with Rick Kelly taking the marque’s first Supercars win in almost two years. "It was a pretty interesting race,” reflected the Swiss. “I thought we had really good pace when we had clean air, but then felt like we were in the thick of it every time something was happening. “It was a bit frustrating because we got hit and everything. I don’t think there is one panel straight around the car. “[It was a] bit of a tough one from that side, so hopefully tomorrow we can do a better job."